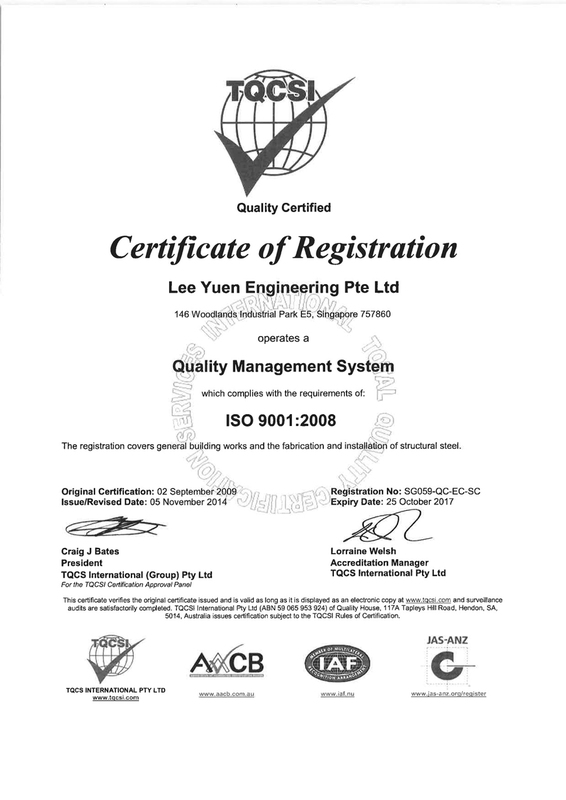 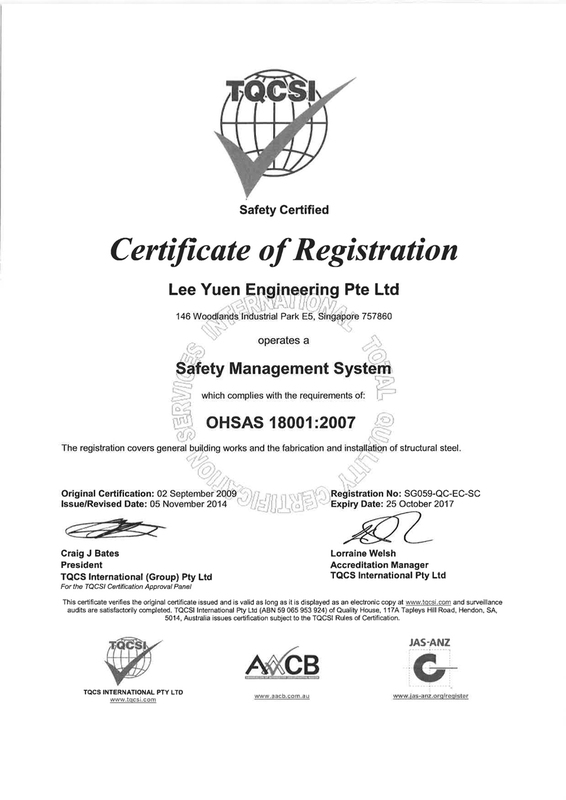 Certification & Accreditation | LEE YUEN ENGINEERING PTE. 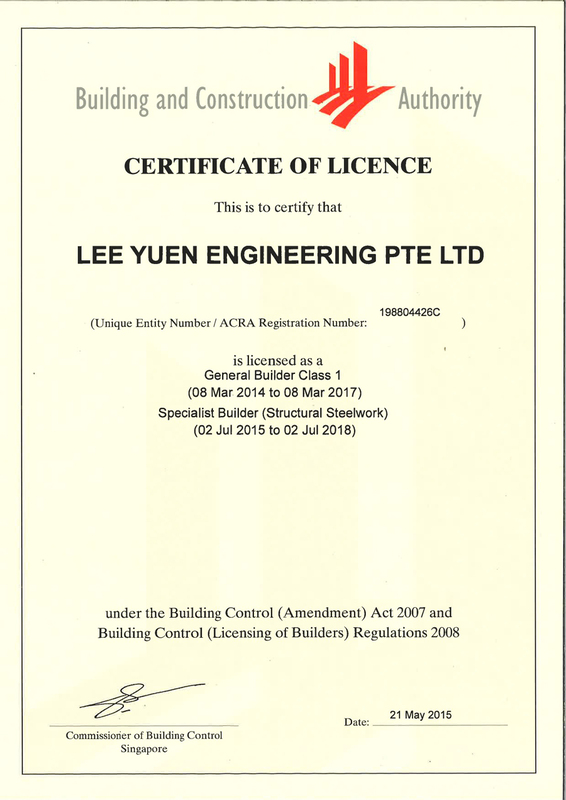 LTD.
We are currently registered with BCA as a specialist builder for structural steelworks. 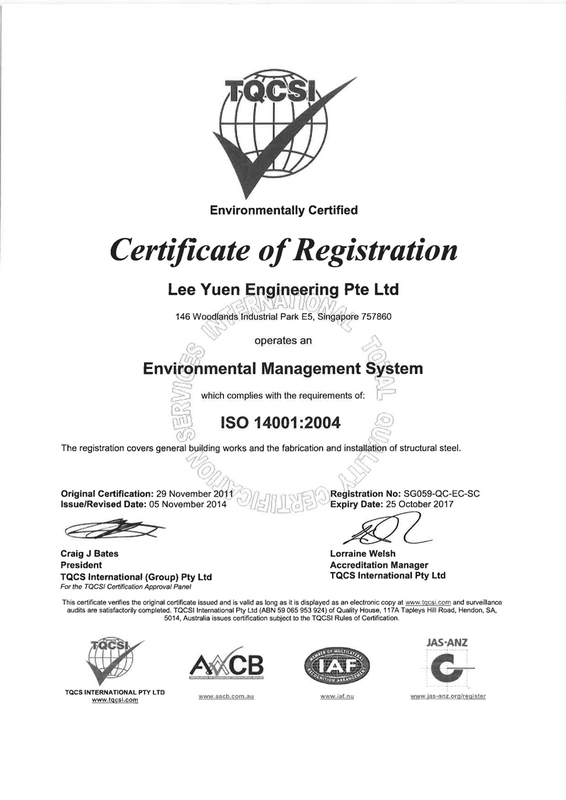 We have achieved certificates for ISO 9001: 2008, OH8AS 18001:2007 & ISO 14001:2004. 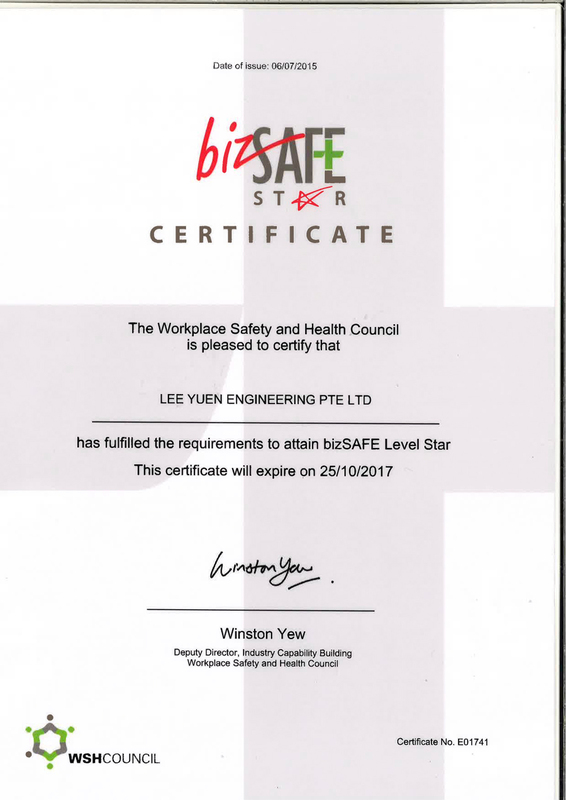 We are also awarded bizSAFE Star Certification by the WSH Council. 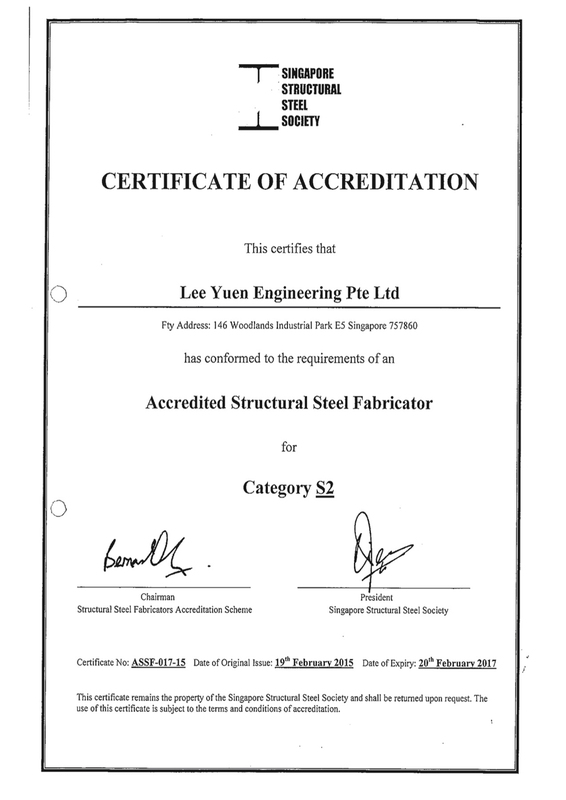 Above all, we are an accredited category S2 Structural Steel Fabricator certified by the Singapore Structural Steel Society.